Home » Healy Eats Real BONUS Freebies! Healy Eats Real BONUS Freebies! 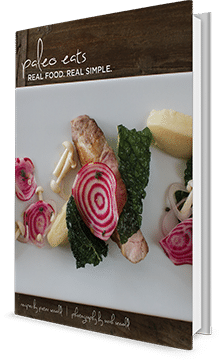 Thank you for subscribing to the Healy Eats Real Newsletter! As a subscriber, you get access to my awesome FREEBIES below! Enjoy! 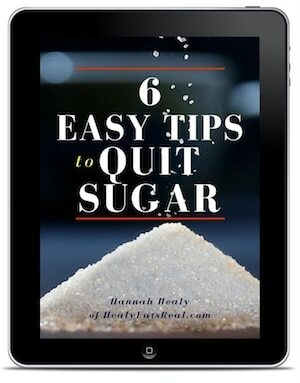 FREE 6 Easy Tips to Quit Sugar guide! I created this ebook for those who are just like me and had a HARD time getting of sugar. Inside are my 6 best tips to get you off of sugar for good! 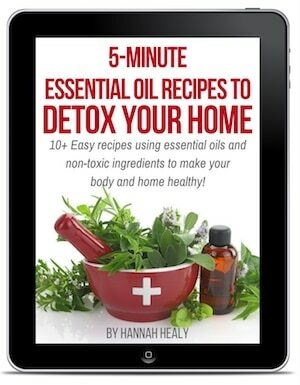 FREE 5-Minute Essential Oil Recipes Ebook + Essential Oils Course! Inside my e-book, you’ll find tutorials to start making your own DIY beauty products, and sound advice to help you make the switch from toxic chemicals to natural, green beauty products you can make for PENNIES! I may receive a commission if you purchase something mentioned in this post. See more details here. DISCLOSURE OF MATERIAL CONNECTION: Some of the links in my blog are “affiliate links.” This means if you click on the link and purchase the item, I will receive an affiliate commission. Regardless, I only recommend products or services I use personally and believe will add value to my readers. I am disclosing this in accordance with the Federal Trade Commission’s 16 CFR, Part 255: “Guides Concerning the Use of Endorsements and Testimonials in Advertising.” PAID ENDORSEMENT DISCLOSURE: In order for me to support my blogging activities, I may receive monetary compensation or other types of remuneration for my endorsement, recommendation, testimonial and/or link to any products or services from this blog. I only endorse products that align with the ideals of Healy Eats Real and that I believe would be of value to my readers. FDA DISCLOSURE: Information and statements regarding health claims on this blog have not been evaluated by the Food and Drug Administration and are not intended to diagnose, treat, cure, or prevent any disease.